"Only a judge confident about his capacity can be truly independent", said Justice Chelameswar. 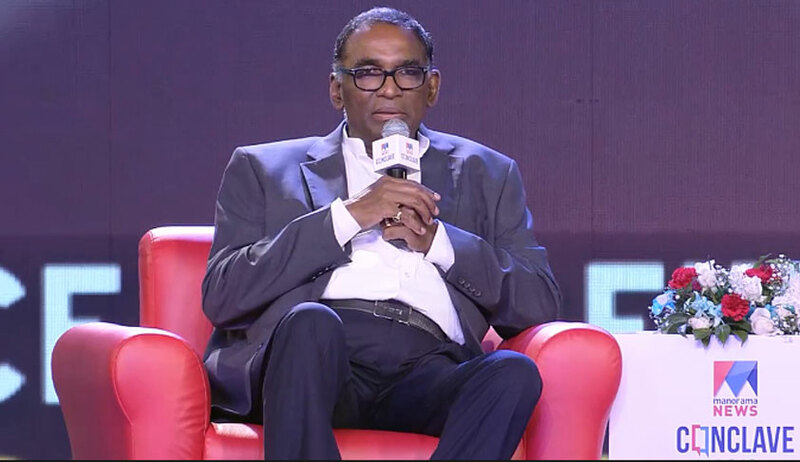 Justice Chelameswar, retired Supreme Court judge, spoke on the topic “The Price of Independence” at the Conclave organized by Manorama News TV at Cochin on July 12. Describing the dynamics between power and independence, he said that the objective of the Constitution was to put a system of checks and balances to prevent abuse of power. He said that it was within human nature to abuse power. It was the nature of power to seek absolute control. However, a democratic society is based on rule of law and not rule of men. Therefore, the necessity of constitution emerges. “If men were to be angels there would not have been any need for government. If angels were to govern men, there would not have been any need for law”, quoted Justice Chelameswa, highlighting the point that human frailties have to be taken into account for understanding the working of a constitutional government. He said that although the constitution had several in-built safeguards to ensure independent working of different organs of State, the actualization of independence depends on the persons occupying the high offices. Speaking in the context of judiciary, a judge loses his independence mainly under two circumstances- one, when he has something to hide; two, when his ambitions preclude him from acting against the government. “Only a judge confident about his capacity can be truly independent”, he remarked. When asked about the circumstances under which he happened to write a letter to the Chief Justice of India complaining of executive bypassing the Supreme Court collegium in the matter of elevation of a judge of Karnataka High Court, Justice Chelameswar remarked that governments with absolute majority have always tried to control judiciary. In such situations, the character strength of the person holding the office comes to play, lest independence will be compromised. Justice Chelameshwar declined to answer questions regarding the elevation of Justice K. M Jospeh to Supreme Court. He said that his views on that are already on record, and he would not want to add to them, especially when the matter is pending before the Supreme Court collegium. He refused to be drawn into a debate whether NJAC or collegium was a better system in appointing suitable judges. He clarified that he was not opposing collegium or supporting NJAC as such. “The problem is not with the system, the problem was with the manner in which the system was operating. Whether NJAC or collegium, both systems can work well, provided they are operated with honesty". On asked about the need to regulate the exorbitant rates of fees charged by lawyers for appearing in Supreme Court, Justice Chelameshwar remarked that the issue was one to be raised before lawmakers. He declined to hold that high fees act as a barrier for a common man to approach Supreme Court, as such rates are usually charged for high stake matters of large businesses. In that context he added that ordinarily the High Court should be the last court of litigation for a common man, and that the Supreme Court should concern itself with larger constitutional and federal issues. However, Supreme Court is getting flooded with ordinary civil and criminal matters, as people who can afford litigation try their luck at Supreme Court treating it as just another appellate court.